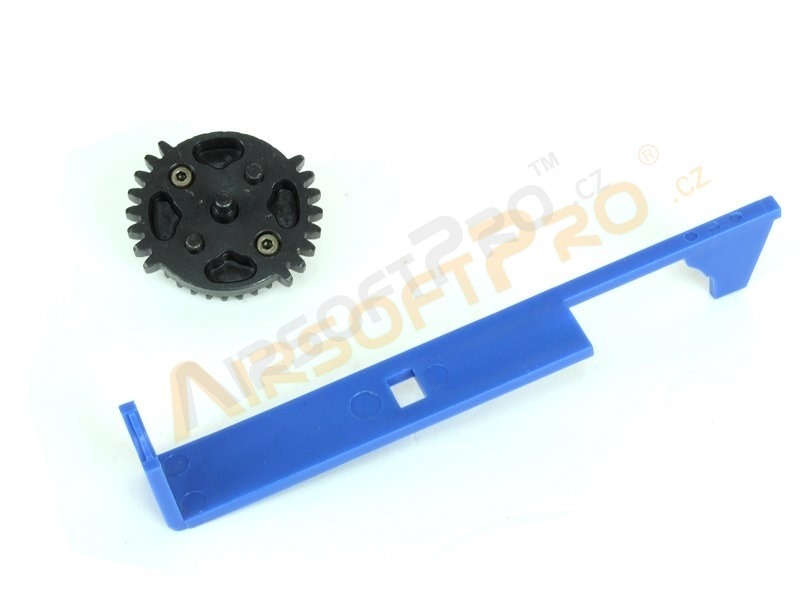 Description Set of the modified tappet plate and special dual piston gear which increase your rate of fire. It pull back piston twice per one rotation. 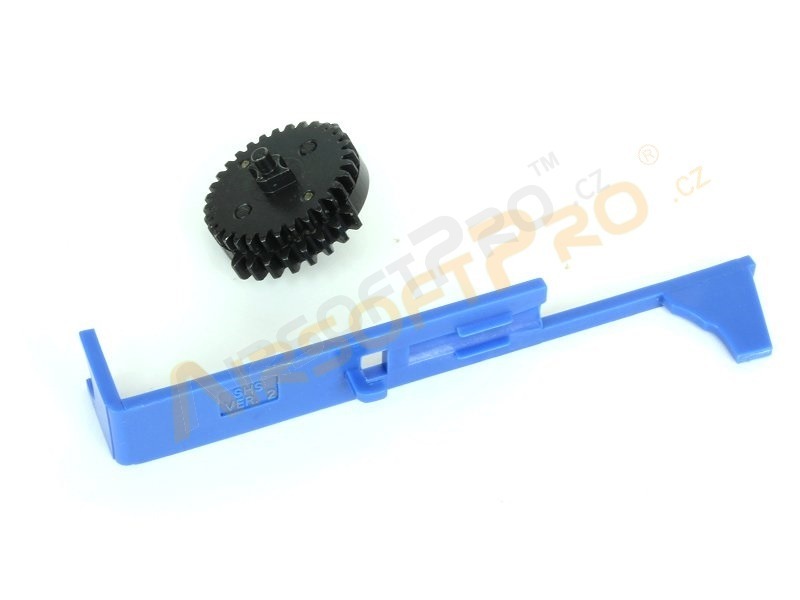 Gear is suitable for common gears. 18:1 and 16:1. Gearboxes version 2. We also recomend full metal teeth piston and inner barrel length up to 300mm.